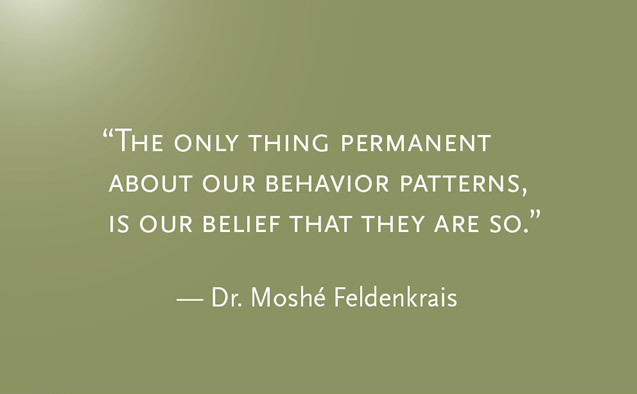 The Feldenkrais Method® is a remarkable approach to human movement, learning and change originally developed by Moshe Feldenkrais. The method is based on sound principles of physics, neurology and physiology, and the conditions under which the nervous system learns best. as neurological, developmental and psychological problems. you from habitual patterns and allow for new patterns of thinking, moving and feeling to emerge.